ARKADELPHIA, AR – The nationally ranked No. 3 Saints tennis team played at Ouachita Baptist University Friday and Saturday and also faced Texas A&M-Texarkana and Harding University and left with an undefeated Spring record after all three matches. On Friday the Saints faced Harding and Texas A&M-Texarkana. The Saints breezed through the first day defeating Harding 8-1 and Texarkana 9-0. Match one verses Harding started with a sweep in doubles where No.1 through 3 all won 8-4. The teams were in No.1 Nick Rousset and Hugo Lobo, No.2 Tim Lamare and Duro Opacic, and No.3 Carlo Izurieta and Benji Finet. In singles, No.1 Rousset ranked nationally at No. 4 won against nationally ranked at No. 44 Carlos Crisostomo 6-1, 6-2. Saint Opacic in No.2 ranked No. 8 defeated Alejandro Sendra 6-0, 6-1. Ranked No. 14 Lamare defeated Luis Tirado 6-2, 7-6. No.4 ranked No. 48 Hugo Lobo consistently won agains Adria Abella 6-4 in both sets. No.5 Izurieta put up a long fight going into three sets but then falling to Salvan at the end losing 3-6, 6-3, then 7-10. This was the only match loss the Saints had this weekend. No. 6 Franck Soulerot defeated Pablo Treino 6-3, 6-1. Saints tennis cruised to a 9-0 win over Texas A&M-Texarkana and Ouachita Baptist on Friday afternoon and Saturday to cap a perfect 3-0 weekend in Arkansas. Against A&M-Texarkana, doubles teams No.1 Rousset and Lobo and No.3 FInet and Izurieta both won 8-5, while No.2 team Opacic and Lamare won 8-4. Going into singles No.3 Lamare came with a quick win 6-2, 7-6 and following was No.4 Lobo who came out with a win 6-3, 6-3. The Saints also got victories from Finet on No. 5, Rousset on No. 1 and Opacic on No. 2. Finet won 6-4, 6-4, while Opacic earned a 6-1, 6-0 win. Rousset took a super tiebreak third set 10-7 to win 3-6, 6-3. The match was already clenched so No. 6 Soulerot finished his match with a pro set winning 8-6. On Saturday, the Saints started the day with a clean sweep in doubles action. At No. 2, Opacic and Lamare finished first with a 8-5 win over their Tiger counterparts. No. 1 and 3 weren’t far behind as Rousset and Lobo won 8-2 on the top court, and Finet and Izurieta won 8-6 at No. 3. Moving into singles, Saint Opacic made quick work of his match winning 6-1, 6-0 against Lonneman in No. 2 and shortly after No.5 Finet finished with a win of 6-4, 7-5 against Montgomery. Soulerot at No.6 defeated his opponent Solorzano 6-4, 6-2. The next two to finish No.1 and 3 both went into a tiebreaker and just so happened to be the No.1 doubles pair all weekend Rousset at No.1 and Lobo at No.3. Lobo finished first winning 3-6, 6-4, 10-5 and Rousset was able to pull out the win with scores of 6-3, 3-6, 10-4. Last to finish in a back and forth match was Lamare who finally defeated Adi 6-3, 7-6 to finish out the weekend. The No. 3 Saints end the weekend with a 3-0 undefeated spring record and an individual 2018 record of 26-1. ARKADELPHIA, AR – The Saints and Lady Saints tennis teams played at the neighboring schools of Henderson State University and Ouachita Baptist University Friday and Saturday with an undefeated Spring record so far for both the Saints and Lady Saints. For the No. 3 Lady Saints on Friday against Henderson State it came down to one three-set match, but the Lady Saints tennis team prevailed in a thriller that chilly afternoon as the Lady Saints downed Henderson 5-4. In doubles plays, No. 3 Yursa Hegy and Martina Borges came up shy, losing to Lorraine Banimataku and Lorish Puluspene of Henderson State 8-2. Shortly after No. 2 Steffany Bermudez and Maria Aveiga lost to Sydnee Parker and Mariah Bartlett 8-6. No. 1 Patricia Panta and Alena Macharova were able to give the Lady Saints their first win of the afternoon defeating Annie Shannon and Thea Minor 9-7. In singles, first to finish was No. 1 Panta, who is ranked 8 nationally. She made quick work of her opponent Shannon 6-2, 6-1. No. 6 finished with Lady Saint Hegy taking a tough loss to Puluspene 5-7, 2-6. No. 5 Borges finished in a 6-3, 6-2 win against opponent Bartlett evening out the overall score 3-3 with three matches left to finish. No. 3 Macharova defeated Parker in a long back and forth sets 6-3, 7-6. This match came down to No. 4 Lady Saint Bermudez taking on opponent Banimataku in three sets. After taking a quick loss 1-6, Bermudez came back and won the next two 6-3, 6-4 giving the Lady Saints their clenching win. Final to finish was No. 2 Aveiga who lost against Minor 2-6, 5-7. On Saturday morning, the #3 Lady Saints faced Ouachita Baptist and left with their first undefeated match of the spring season winning 9-0. In double plays, No. 1 Panta and Macharova won 8-1, No. 2 Bermudez and Aveiga won 8-0 and No. 3 Megan Petr and Hegy won 8-1. No. 3 through 6 singles all won both matches. Macharova defeated Phillips 10-8, 6-0, Bermudez defeated Hernandez 6-2, 6-0, Borges defeated Stanage 6-0, 6-0, and Hegy defeated Boyd 10-8, 6-0. No. 2 Aveiga won against Dinsmore in two long matches 10-8, 8-6 and final to finish was No. 1 Panta who won against Tabler 6-3, 6-2. The No. 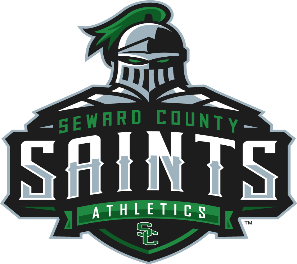 3 Lady Saints are now 2-0 in the season and have an individual record of 14-4.